Brewers will be competing from 12pm to 5pm each day. Find more info on our Event FAQ Page! There will be ten preliminary rounds held across the country (including the Hawaii Brewers Cup). The top four competitors from each of these Preliminaries will earn a reserved spot in the US Brewers Cup Qualifying Competition events. Twenty-four finalists (twelve from each Qualifying Competition) will move on to compete in the US Brewers Cup finals at the SCA Expo in Boston, April 2019. A reserved spot at one of the two U.S. Coffee Championships Qualifying Competitions will be awarded to the top 4 competitors from each Preliminary event. The top 4 competitors from each Preliminary event may choose to compete at either of the two Qualifying Competition events. The spots for 2nd, 3rd, and 4th place Preliminary competitors are only reserved, registration and travel costs are the responsibility of the competitor. Qualifying Competitions dates/locations are TBD. For a little more insight, check out videos of previous year’s competitions. We welcome and encourage all people aged 18 years or older to participate, regardless of their color, cultural background, ethnicity, class, gender, sexual orientation, religion or spirituality, or any other identity. Registration will be limited to 24 competitors. 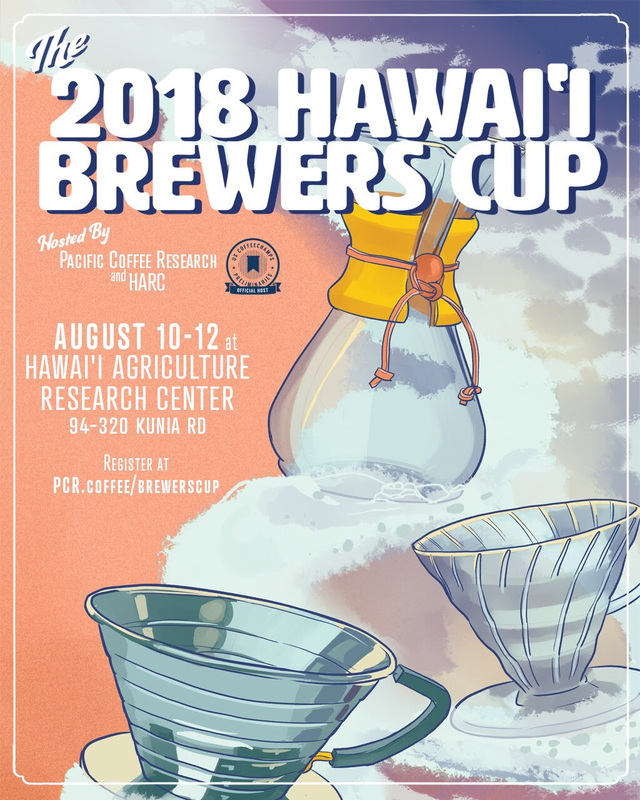 The registration fee for the Hawaii Brewers Cup is $30 and registrations will be accepted on a first come first served basis. In the Preliminaries there is one round of Service. The host will provide competitors with a choice of at least 2 coffees for Service. Competitors will select 1 of these coffees to brew and present to the judges during Service or competitors may select 2 or more coffees and blend them together. Coffee for use in the competition will be provided by 2 or more different companies. Competitors may not select a coffee from their own roaster/wholesaler. If a competitor’s current employer is one of the coffee providers for the event, then that Competitor must select one of the other provided coffees. Prior to the start of competition, the host will conduct a blind coffee selection tasting for competitors to choose coffee(s) for Service. Basic information about the coffees (origin, processing method) will be provided to the competitors after they have selected their coffee(s). Competitors may utilize any set of brewing devices of their choosing, so long as they qualify according to the definitions in the rules. Rules will be sent to registered competitors. Before Service, competitors will have 7 minutes to set up the competition area in preparation for and prior to the Service. During Service, competitors will be evaluated by 2 Sensory Judges. Additionally, a Head Judge will be present, and will taste the cups served. The Head Judge will not score the cups and is present only to ensure calibration of the judges. During Service, competitors will have 8 minutes of competition time to prepare and serve their beverages, with an accompanying presentation. Competitors will be limited to utilizing only the whole bean coffee(s) provided by the host. During Service, competitors will prepare and serve 2 individual and separate beverages, 1 for each Sensory Judge. Both beverages must be prepared using the same whole bean coffee. Competitors may produce as many beverages as they like during their competition time. The judges will only evaluate the beverages served to them by the competitor. Equipment (hot water tower, grinder, and smallwares) and coffee will be provided to the Competitors. Competitors must bring their own manual brewing devices, filter media, and kettle(s). Competitors may bring their own grinder, if they prefer, but this is not required. It is required for Competitors to use the Host-provided coffee(s). All Competitors and Judges are required to attend the Online Learning Session on July 10th in order to participate at the Preliminaries. Please register for the Online Learning Session here.